M.A.T.S.S. runs several Mini-Camps to bridge holiday school break weeks. Each day of Mini-Camp is a separate theme and all activities are centered on the theme of the day. There are games, crafts, sports, gymnastics, to name just a few. 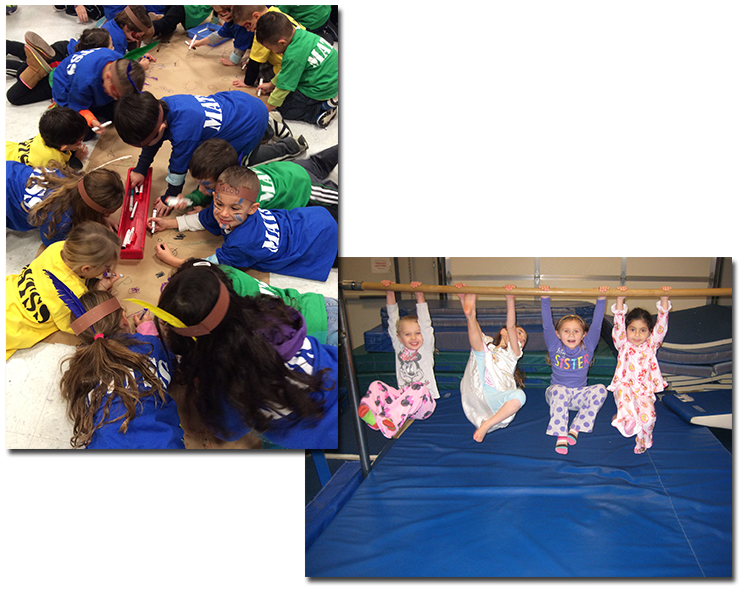 The programs are usually 4 hour structured play/activity programs with lunch held mid-day. We also offer a 3 hour program for little two year olds. Multi-day and sibling discounts are available for certain weeks. Check out our by location Mini-Camp page for upcoming flyers & offerings! It's a great way for kids to get together and have a play-date during their school breaks and more.